The Journal of “Medical Microbiology and Immunology” is a multi-disciplinary peer-reviewed, open access journal that encourages original research and makes significant contribution to advancing knowledge on microbiology and immunological application in the treatment of various infectious diseases. The journal “Medical Microbiology and Immunology ” publishes research articles in the field of microbiology and immunology that delve into the diagnosis, pathogenesis, prognosis, or treatment of diseases. These include Microbial Immunology, Immunology, Molecular Biology Genetics and Biotechnology, Aspergillus, Immunocompetent, Infectious Diseases, Antibiotic resistance mechanisms, RNA Processing, Post-Transcriptional, Immunosuppressive Agents, Nod Signaling Adaptor Proteins, Monoclonal antibodies, Tumor immunology, Tumor antigens, HLA Antigens, Epidemiology,Herpes viruses, Immune suppression caused by HIV, Lyme disease, Tuberculosis, Accinology, Molecular biology, Virology, Bacteriology, Parasitology, Mycology, Clinical medicine. 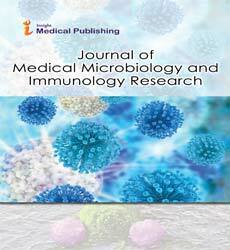 The Journal of “Medical Microbiology and Immunology ”consider a wide range of studies in this area, ranging from Immunotherapy, Immunosuppression, Immunologic Memory, Immunologic Factors, Antiprotozoal Agents, Food Microbiology, Milk and Meat Microbiology Antibiotic resistance,anaerobic microbiology. This well-established journal publishes articles on basic, translational, and clinical studies including relevant animal models and case reports of general significance. The Journal aims to publish the most reliable and complete source of information on the discoveries and current developments in the form of research articles, review articles, case reports and short communication. All articles are peer reviewed and published under the guidance of our Editorial Board members. All articles submitted to Journal of Medical Microbiology and Immunology are peer reviewed by experts in the field and authors are notified, if accepted for publication. Microbial infection is the combinatorial process of invasion of infectious agents into the organism, their multiplication and the reaction of host tissue against these agents. Infectious agents mainly include bacteria, virus, parasite, fungi etc. Microbiology is the study of characterization of pathogens and their mechanisms of causing infections. It also deals with the prevention, diagnosis and treatment of infectious diseases caused by various infectious agents. According to the type of pathogens and their modes of transmission into the host body, a treatment can be implied. Microbiology has various applications in different fields like medicine, agriculture, industry, pollution control etc. Microbial pathogenesis is the mechanism by which different microbes cause infectious diseases in human body. It includes both cellular and molecular level interactions between the pathogens and the host tissue. These interactions leads to immune response in the host body. Immunology is the branch of biomedical science that encloses the study of structure and function of the immune system in all organisms. Immune system plays the most important role in understanding the diseases and also protects us from infections by different types of diffence. Immunology includes all physical, chemical and biological reactions of the organism against the foreign substances. Immune system is divided into two types: innate immunity and adaptive immunity. Adaptive immunity further divided into two types that is humoral and cell mediated immunity. Antibodies or immunoglobulins are Y-shaped protein produced by plasma cells used by the immune system to identify and neutralize foreign objects. Antibody plays the most important role in adaptiva immunity. The Y shape structure of the antibody has a paratope which is specific for one particular epitope on the antigen. These paratope and epitope binds together to form antigen-antibody complex. Cancer immunology concerned with the interaction of immune cells with the tumor cells which helps in understanding the commencement and development of cancer. Different types of therapies are developed accounting these interactions. All cancer cells have macro-molecules known as tumor associated antigens (TAAs) on their surfaces, which can be detected by our immune system. Cancer therapies can be catagorized into two types that is active and passive. In active therapy, immune system attack the cancer cells by targeting the TAAs but in passive therapy, lymphocytes, monoclonal antibodies and cytokines are used to enhance the anti-tumor responses. Virology is the stuidy of viruses and virus-like agents. It mainly deals with theie structures, taxonomy, disease causing properties and their evolution. It also focuses on their ways of infection, interaction with host cells and their detrimental and benificial properties. Immunogenetics is the study of immune system and genetics. It investigate the relationship between immune system and genetics and provides information which can be used to develop therapies for different diseases. Some diseases may result due to defects in immune system. Such genes which are responsible for immune defects can be identified and new target genes can be impliied for therapeutic approaches. Neuroimmunology is the combined study of nervous system and immmune system in an organism. Information about the interactions between these two systems helps the researcher to gain a clear picture about the commencement, developement and response to injuries inside the body. There were fewer knowledge about the origination of some neuorological diseases before but the development of this new research field helps us understanding the pathology of those types of diseases.